Fifa has confirmed that investigations into Kenyan football match-fixing allegations are underway. This comes after Nation Sportexclusively revealed on Tuesday that the world football governing body has established a prima facie case against Harambee Stars defender George Owino Audi for potentially committing breaches of Fifa’s Code of Ethics between June 2009 and March 2011. The player and three unidentified are said to have been paid millions of shillings by notorious match-fixer, Singaporean Wilson Raj Perumal, to throw away the Kenya national team’s matches. “Fifa is currently looking into the matter and an investigation into alleged match-manipulation in Kenyan football is underway,” a spokesperson of the International Federation of Football Associations (Fifa) told Nation Sport on Wednesday. “Please understand that no further comments on the matter can be made at this stage,” the statement added. 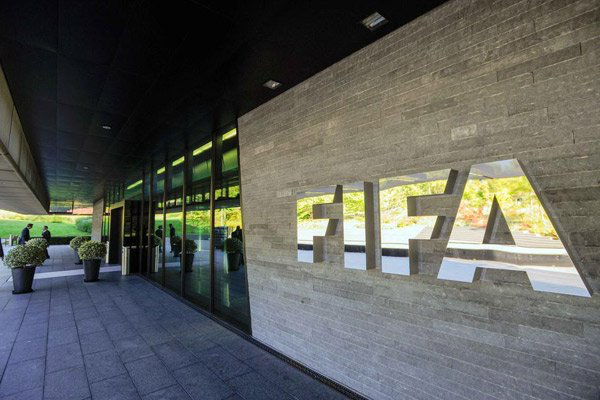 Owino, 37, is alleged to have potential breached articles 13, 17 and 27 of the Fifa Ethics code. Article 13 states that “(sports) persons must refrain from any activity or behaviour that might give rise to the appearance or suspicion of improper conduct. Article 17 says “persons bound by this Code who become aware of any infringements of this Code shall inform, in writing, the secretariat and/or chairperson of the investigatory chamber of the Ethics Committee directly. Article 27 reads: “Persons bound by this Code shall not accept, give, offer, promise, receive, request or solicit any personal or undue pecuniary or other advantage in order to obtain or retain business or any other improper advantage to or from anyone within or outside Fifa. “Violation of this article shall be sanctioned with an appropriate fine of at least $100,000 (Sh10m) as well as a ban of a maximum of five years from all football activities. A number of African officials have been banned for violation of these codes. In October last year, the adjudicatory chamber of the independent Ethics Committee banned former President of the Ghana Football Association Kwesi Nyantakyi for life from all football-related activities at both national and international level. In December, the chamber banned former President of the Gambia Football Federation Seedy Kinteh for four years from all football-related activities bribery and corruption issues. He was fined Sh20 million.